This week I have begun working on the identity for STEM, our client for the summer, and I started as I do with any project, by searching for inspiration. I have several go-to resources for doing so, and figured I’d share some of my favorites. Favorite Feature: Secret boards. Especially when I’m gathering inspiration for a new project, the pins are solely for my benefit, and not something others want to see in their feed. For example, this week I have been gathering inspiration images for the STEM (Science, Technology, Engineering, Math) identity and pinned several engineering sketches and diagrams. I made the board secret so that my followers don’t get annoyed. 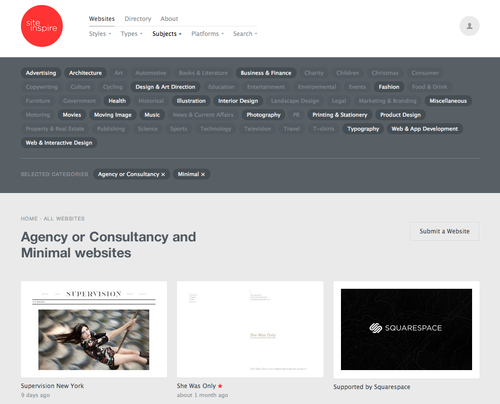 Favorite Feature: All of the interest categories are design-related and users have to apply for privileges and be verified before they can upload content, so I rarely come across images that don’t seem relevant to design. 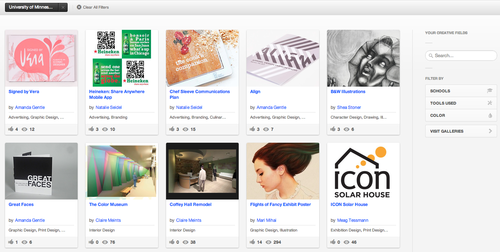 Favorite Feature: Behance has several features that I really love. One small feature that I appreciate is the ability to filter projects and portfolios by school so that I can keep up with former classmates by searching University of Minnesota. 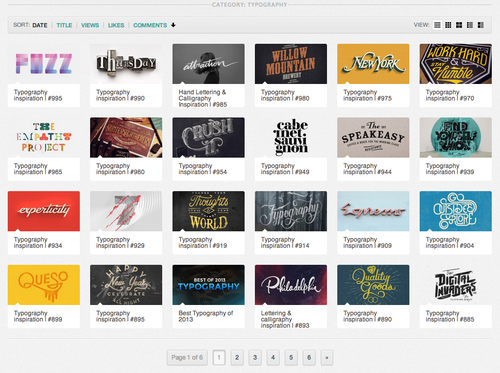 Overall I think this is a great site for finding inspiration as well as fellow creatives to keep up with. Favorite Feature: All of the curated content is very high-quality, so I’m always finding things that just amaze me and inspire me to step up my game. All of the content is introduced to the blog in numbered galleries, so finding the most recent work is simple. I could go on forever listing ways I find inspiration, but this will have to do for now. Being surrounded by creative people, I’m always being introduced to new and exciting resources that aid my inspiration, so if you have anything that you find particularly amazing, feel free to share!